See how I make delicious cherry beads and use them to make charms and a necklace! 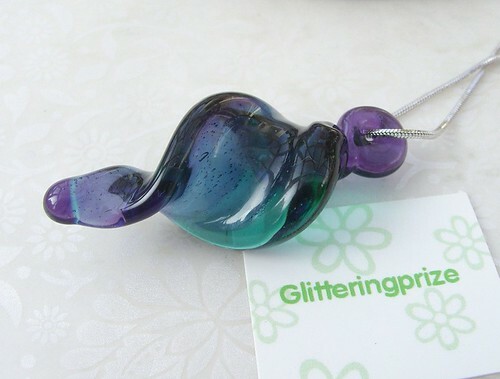 Have fun creating these twittering bird beads! 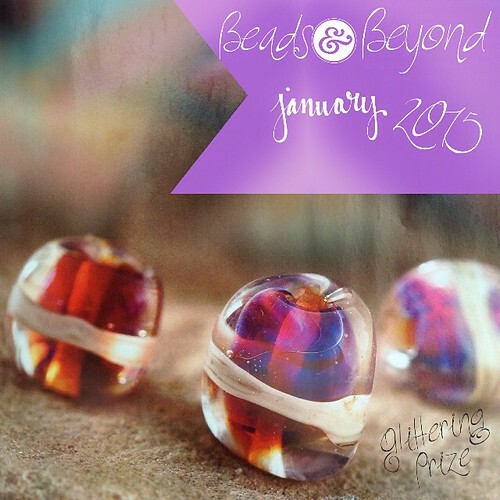 Use up rod ends to make thesefun swirly beads! Here I show you how to tame EDP (Evil Dettifying Purple) and use very fine stringers! 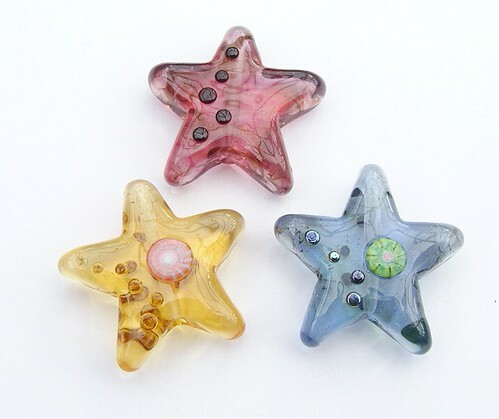 See how I coax magical colours from reactive glass in this tutorial! Do you wanna build a snowman?? Take a walk into Wonderland with my Mad As A Hatter tutorial. 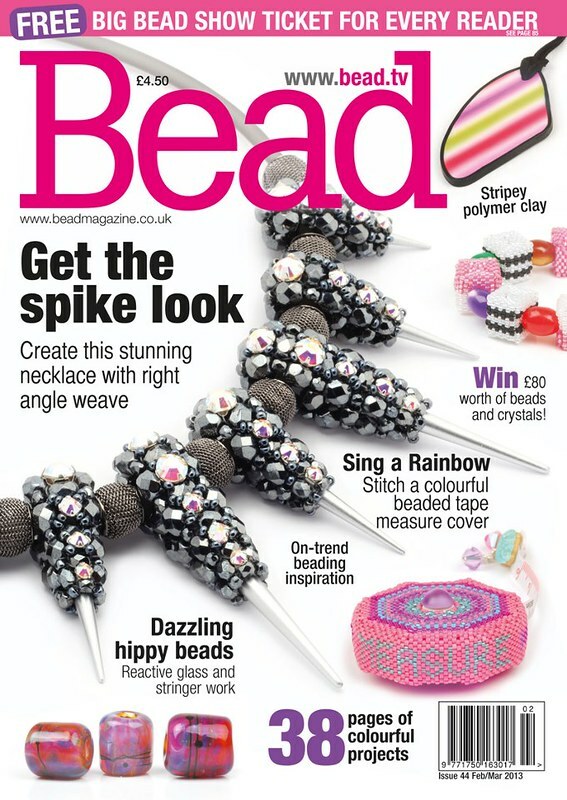 Ohh I'm a cover girl ... well the beads are! Have fun creating my summer Watermelon beads. Here's I've made them into earrings and a bag charm! 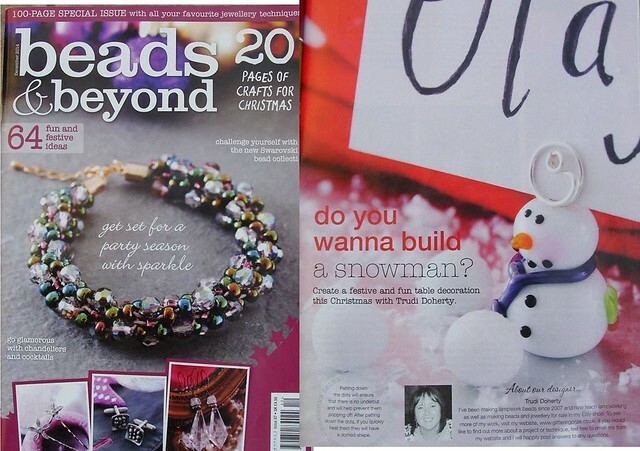 See my Winter Wonderland Wedding Beads! 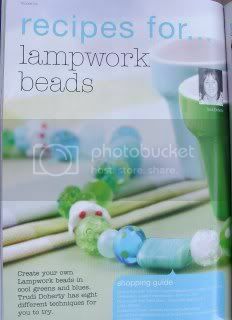 In the magazine I've made this off mandrel, but you can easily make this on mandrel too! 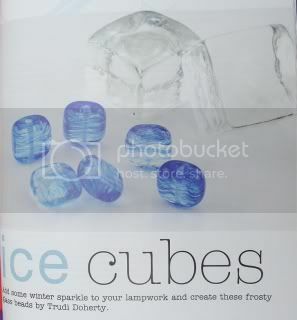 they're not just for winter! Check out my tutorial showing you how to use difficult shaped presses. 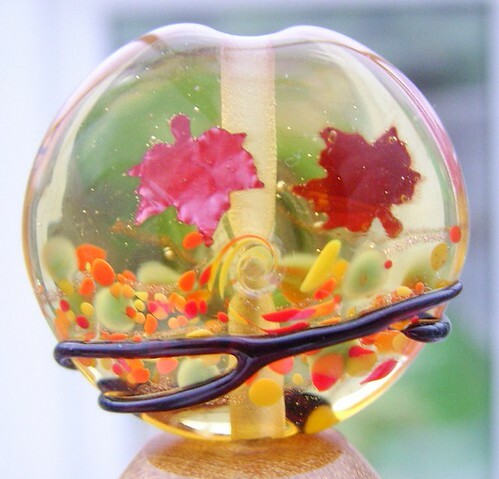 For this one I've used a butterfly press and made the beads into sun catchers! 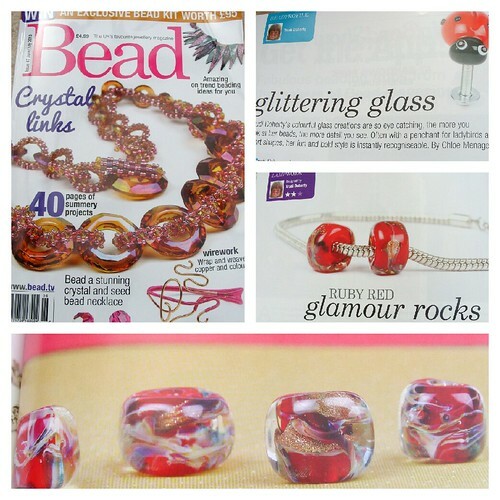 An exciting issue for me .... in here I show you how to make these Ruby Red Glamour Rock beads, very eye catching with a touch of sparkle!! 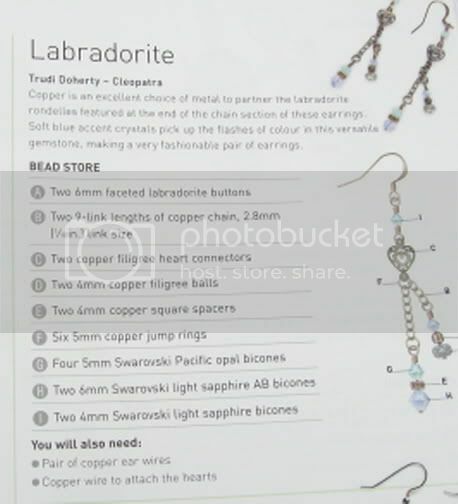 (These are available to order on the Glamour Rocks and Nuggets page). I was also interviewed by their Editor Chloe, talking about my journey into lampworking and other things that interest me! 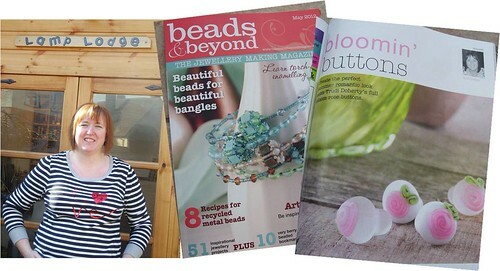 check out the June edition of Beads & Beyond! 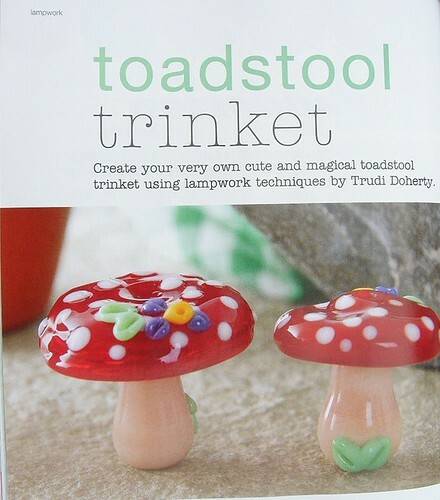 It shows you how to make a great dotty pendant, superb for beginners. and if you don't have a kiln etc .. I suggest places where you can go to try it out. 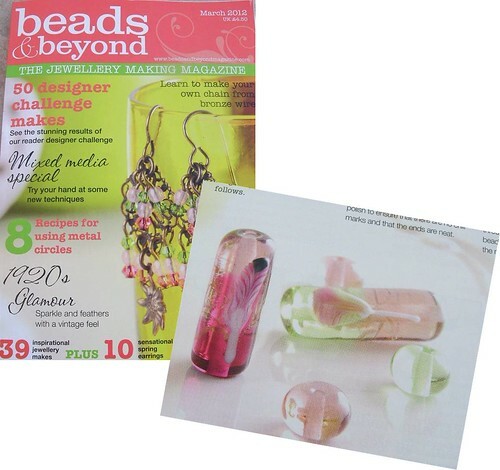 See these Hipster beads in Issue 44 of Bead Magazine! 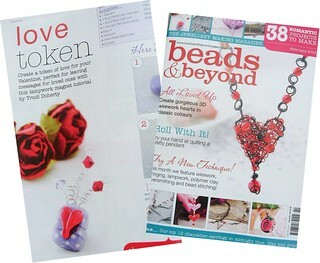 To see my Love Token tutorial, check out the February edition of Beads & Beyond! 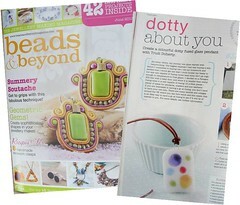 Very excited to see my Lava Lamp inspired tutorial featured in this issue! 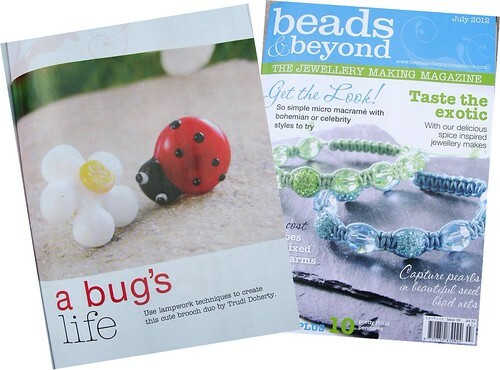 A Bug's Life ... my new tutorial in the July 2012 edition of Beads & Beyond. This shows you how to make fun cabachons that are great to use for pins, tie pins, cufflinks and earrings! 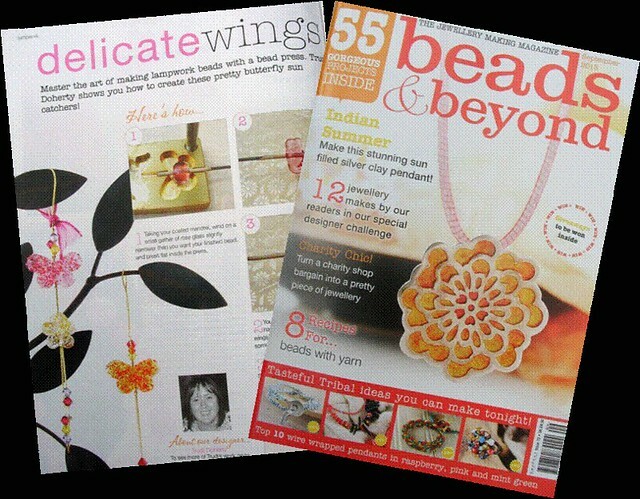 I'm very excited to be in the May 2012 edition of Beads & Beyond! This edition features cute rose buttons, the tuorial shows you how to make the rose & vine canes as well as the actual button itself! And it's a double celebration as Lamp Lodge also features in the Personal Space section!! 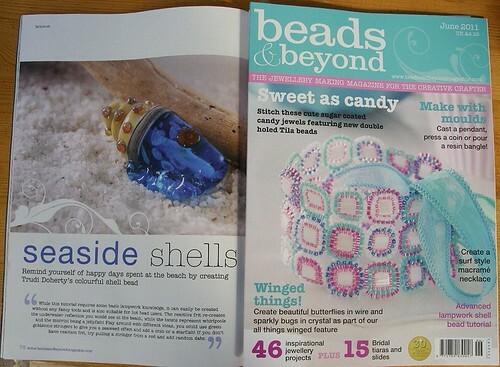 I'm very excited to be in the March 2012 edition of Beads & Beyond! 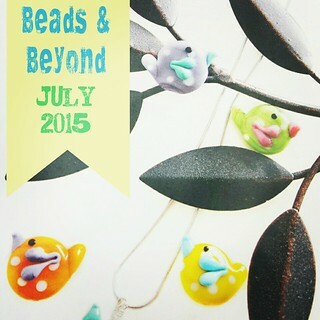 This features my a glittering tube bead decorated with feather murrini! 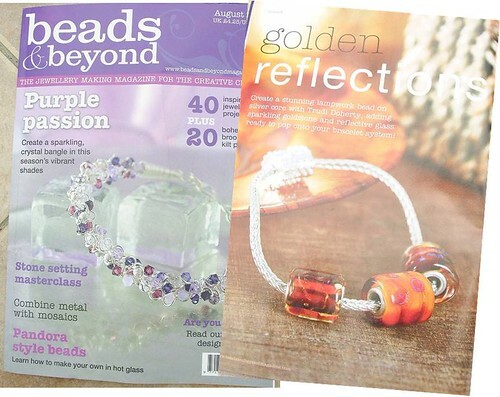 I'm very excited to be in the February 2012 edition of Beads & Beyond! 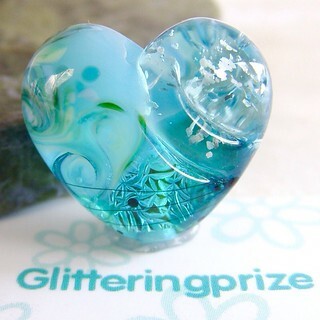 This features my patchwork heart that's packed with dichroic, goldstone and reflective glass. This really catches the light with every slight movement. 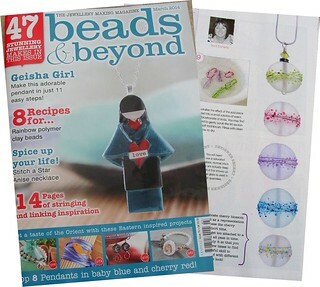 I'm very excited to be in the January 2012 edition of Beads & Beyond! 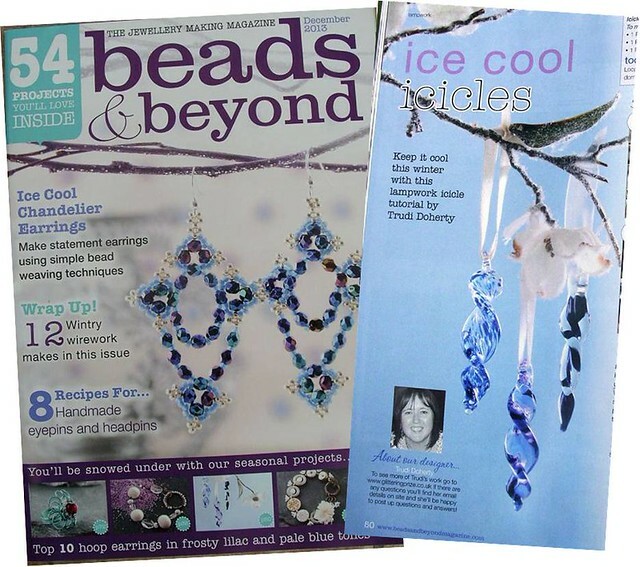 This was a different article for me as I was asked to write tutorials for 8 different beads, and the magazine was printed with a cut out and keep concept! 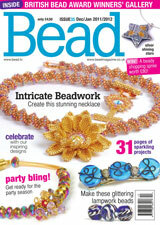 Take a look at the new issue of Bead Magazine ... it tells you how to make Glittering Blue Tiger Beads. Perfect for the coming party season! 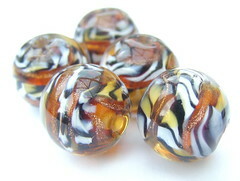 There's also a picture of them in amber for a different look! 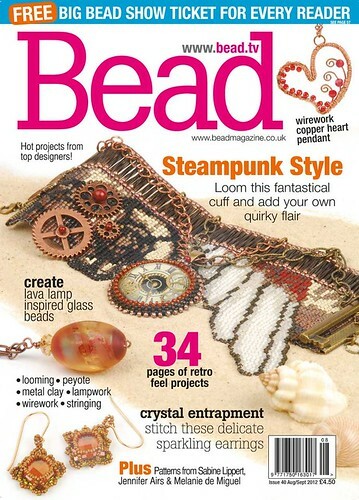 The front picture from my tutorial published in Beads & Beyond - December 2011. 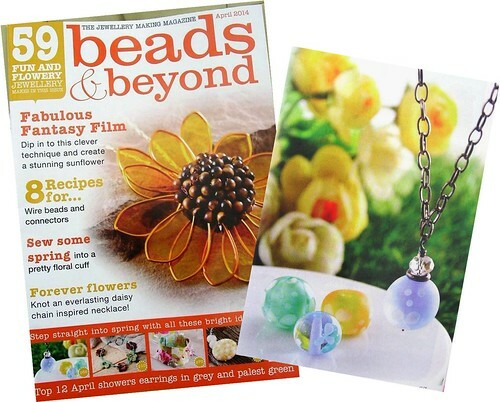 See the October issuse of Beads & Beyond to see my new kit! 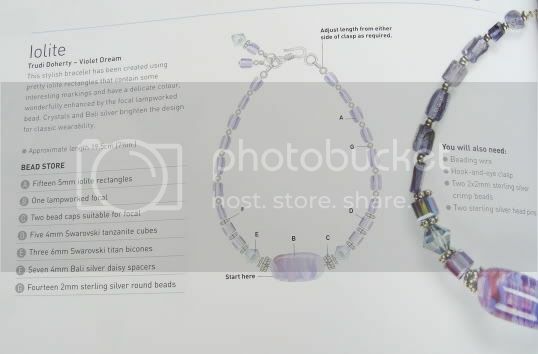 The tutorial is in two parts, first one shows you how to make the beads, and the second shows you how to make the neckalce up! 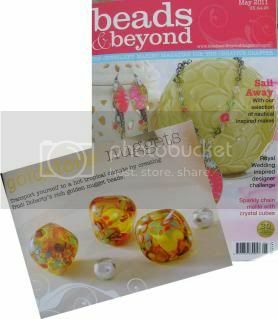 you can buy either the full kit or just the beads! 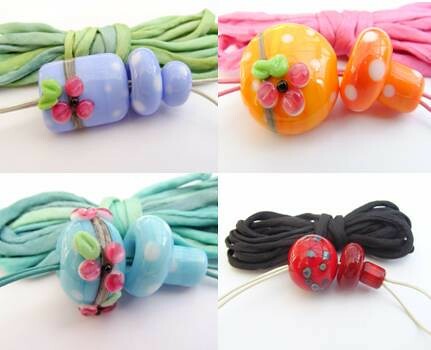 Cute mushrom beads, great for pendants! Fresh for the summer, this tutorial shows you how to make a beautiful sea shell. 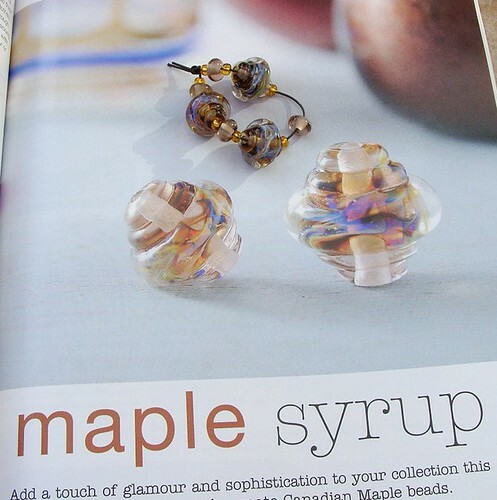 Perfect for the summer, these are made with gold leaf and a colourful frit! 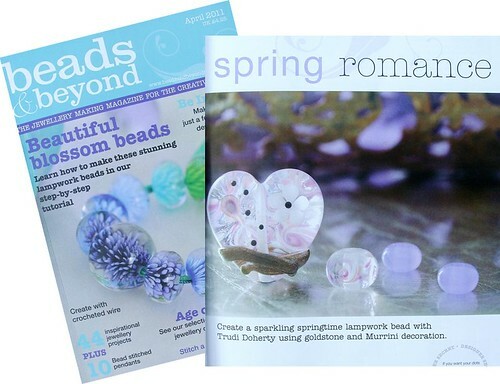 April's issue shows you step by step how I make my swirling heart bead! 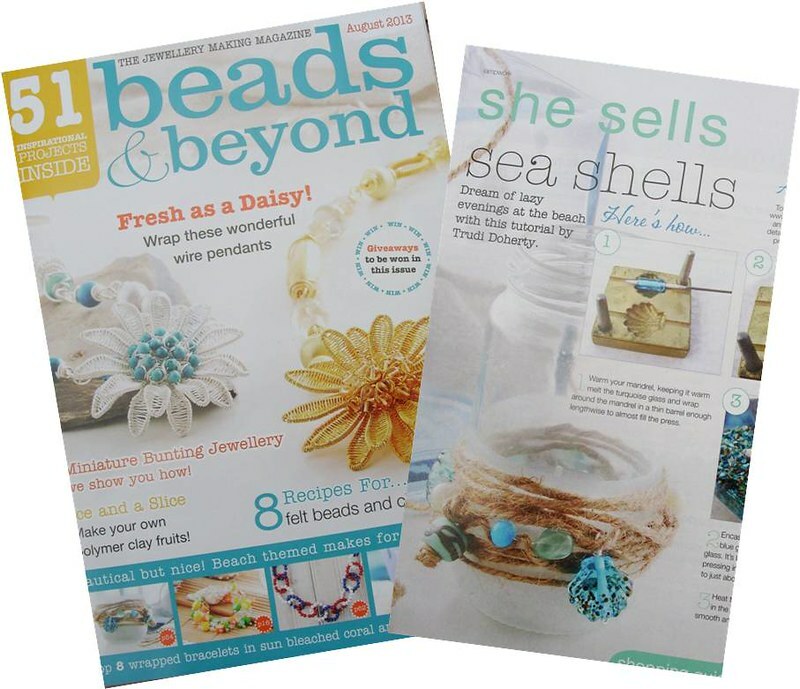 To learn how to make these cool beads, check out this issue of Beads & Beyond! 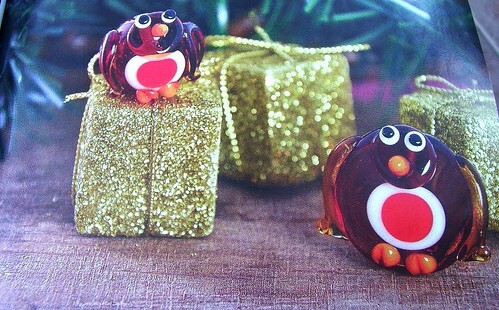 With a real festive feel, these Robins were featured in the December issue of Beads & Beyond. The one on the right is lentil shaped, while the one on the left is round! 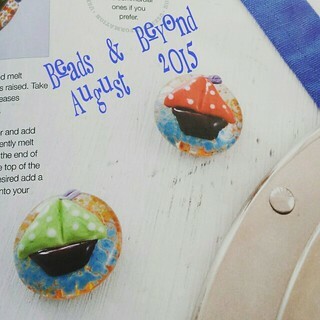 I'm very excited, I've just featured in the October edition of Beads & Beyond with this Autumn Tumble bead! I wasn't expecting the magazine out this week so I'm a little un-prepred - I'm planning on a prizedraw to celebrate, so watch this space! 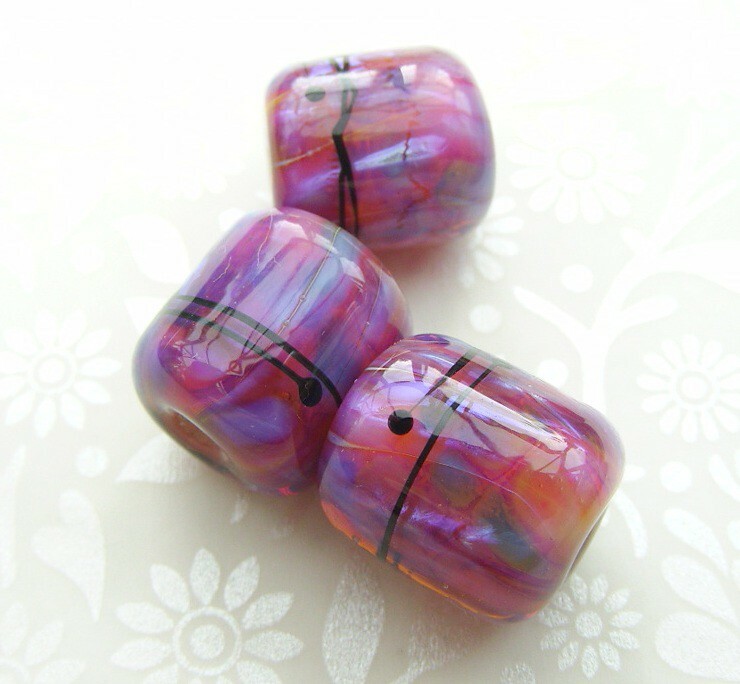 Here is my first published lampwork tutorial showing you how to add hot glass direcly onto a fine silver core! 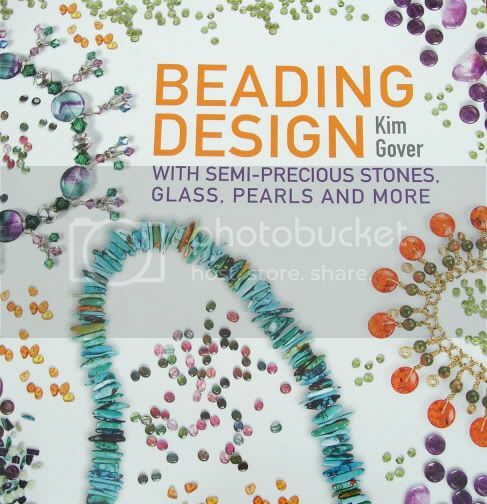 What seems like a long time ago now, a friend of mine, Kim Gover was putting together a book about jewellery design with semi-precious stones. We belong to the same beading group – The End Of The Rainbow, and she invited all the members to submit pieces of jewellery to be included. A year down the line and I finally have a copy of it – and wow, I’m impressed (and not just because 3 of my designs are featured!). Kim has really written a book with a designer in mind. 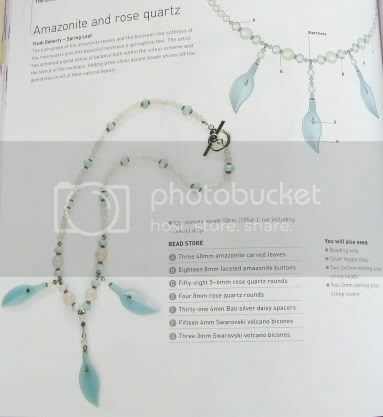 It opens telling you about each section of the book, then flows into materials and tools – a really useful buying guide – information on the stones, laid out in a superb colour flow – then onto the designs - and if that wasn’t enough, there is also a section on techniques!